25 Rocking Groom Entry Songs for Your Wedding! Aren’t you in love with the song ‘Din Shagna da’? The song that played in the background while Anushka glided like an angel into Viraat’s life. I bet many of you must have even imagined yourself at her place swaying in a beautiful floral Sabyasachi lehenga. That’s how important an entry song is. It creates memories that you will cherish forever. But wait, why is it only about Anushka, why is nobody interested in Viraat’s entry? Well, he never had a proper groom entry, just stood there with his eyes stuck on Anushka. Why should brides have all the fun? Why is bride entry given so much of importance when the groom is equally important on your wedding day? Have you thought about that? Well, maybe because brides spend months dreaming about their favorite day. They know what exactly they will wear, how their makeup should be on point or which song would be playing when they enter the scene. We are here with some rocking groom entry songs that will get you grooving with your boys and yes will surely grab all eyeballs. Swag Se Swagat – the youth anthem of 2018, this groom entry song will get the crowd swaying along with the groom. Dil Diyan Galla – For the groom with swag, this groom entry song is a peppy number and will definitely give you an adrenaline rush! Badri Ki Dulhania – Make a dashing entry to impress you Dulhaniya! Saadi Galli Aaja – This soft number by Ayushmann Khurrana will make your bride walk to your galli instantly! Enna Sona – When you can’t believe how lucky you’ve been in love, this groom entry song, says it all! Zaalima – Romance King, Shahrukh Khan, has killed it in this song! Dheere Dheere Se – This one from the movie Aashiqui will pour your heart out. High Heels Te Nache – Show your dance moves by grooving on this groom entry song! Tere Sang Yaara – This one is another romantic number for the romantic in you! Bachna Ae Haseeno – A song for the handsome hunks, this song will make your saaliya drool over you! Dilli Wali Girlfriend – If you had a hard time convincing your girl to say “I Do”, show her how bad you want her! Tenu Leke Main Javanga – The perfect groom entry song, this number will bring out the dancer in you! Tan Tana Tan Tan Tan Tara - This song still tops the charts and will definitely get the audience swaying to the lyrics! Leke Pyar Ki Chunariya - A well-choreographed dance number on this song will definitely make your bride blush. Jab Mila Tu – make your bride dance with you on this number from I hate Luv Storys! Tum Se Hi – “Tumse hi din hota hai..surmayi raat aati hai”….melts hearts rightaway! Main Hoon Hero Tera – Salman’s voice has done complete justice to this song and it adds to our list of best groom entry songs. Janam Janam – Coz you have finally decided to spend janams togethers! 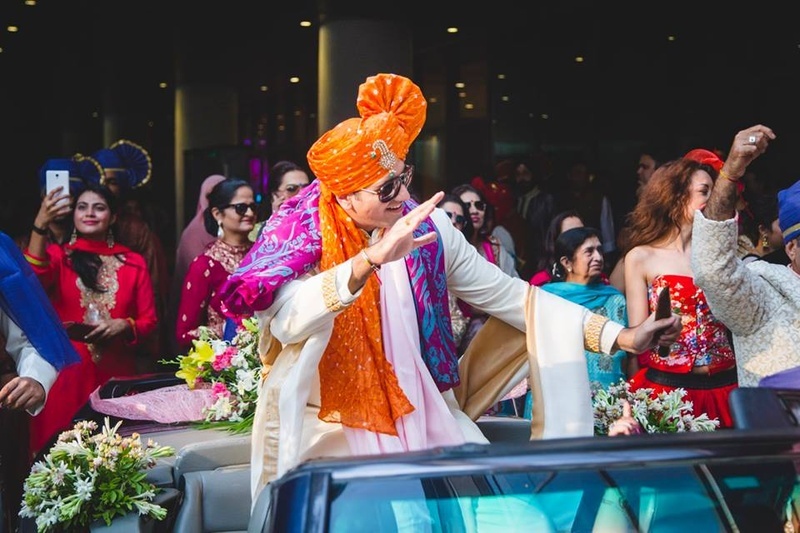 Tu Meri – Get some inspo from the heartthrob and dance it out on your wedding day! Mehendi Laga K Rakhna – classy never gets old..this timeless number is a must- have in any list of sings during weddings..
Jogi Mahi – set the stage on fire with this fast number starring RK, the Rockstar song for groom entry! Piya o re Piya – perfect for not only groom but also works as a couple entry song! Ae Nazneen Suno Na – this forgotten classic number will definitely make your bride go gaga over your entry! !